These products are customized Aluminum tips for Innokin dual coil iclear 16 v2 Clearomizer, Vision eGo Clearomizers V2 and clearomizers of similar type. The drip tip is well made and fits the clearomiers perfectly. No need to use extra O-ring. No leakage. Please click small image above to display the available styles. 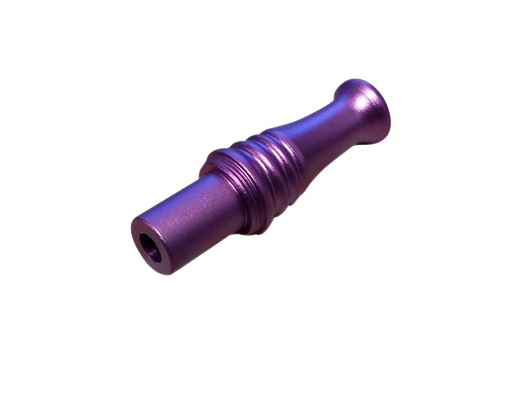 When using any drip tip, you must be very careful with the e-liquid level inside. You can not drip too much nor too little, just several drops. Too much e-liquid will lead to a high possibility of inhaling liquid into your mouth, while too little will cause dry burning which will greatly shorten atomizer life. Experimentation is suggested.